There have been many books about the Grail, written from many differing standpoints. Some have been practical, some purely historical, others literary but this is the first Grail book which sets out to help the esoterically inclined seeker through the maze of symbolism, character and myth which surrounds the central point of the Grail. In today's frantic world when many people have their material needs met, some still seek spiritual fulfilment. They are drawn to explore the old philosophies and traditions, particularly that of our Western Celtic Heritage. It is here they encounter the quest for the Holy Grail, that mysterious object which will bring hope and healing to all. Some have come to recognise that they dwell in a spiritual wasteland and now search for that symbol of the grail which may be the only remedy. Here is the guide book for the modern seeker, explaining the history and pointing clearly towards the Aquarian Grail of the future. John Matthews and Marian Green have each been involved in the study of the mysteries of Britain and the Grail myth for over thirty-five years. In The Grail Seeker's Companion they have provided a guidebook not just to places, but to people, stories and theories surrounding the Grail. 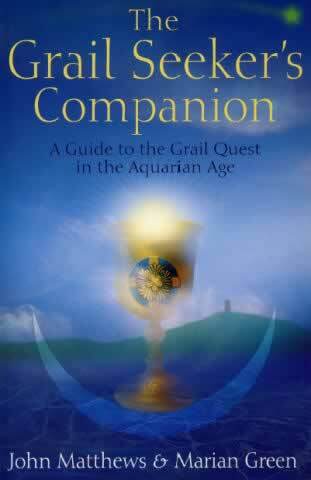 A reference book of Grail-ology, including history, ritual, meditation, advice and instruction. In short, everything you are likely to need before you set out on the most important adventure of your life.